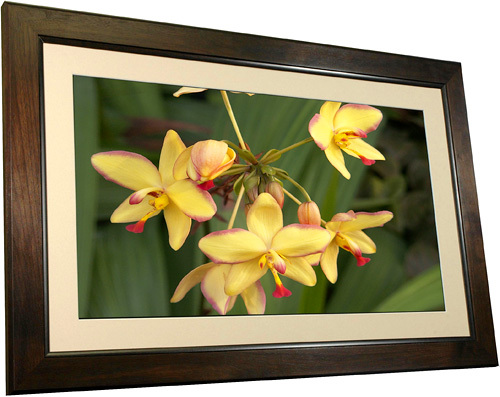 Smartparts SP3200 32-Inch Digital Photo Frame | OhGizmo! Besides the size, there’s unfortunately not much else to be impressed with. It has a resolution of 1366×768, which is perfect for displaying your 1 megapixel photos, and includes just 256MB of internal memory. As for file support, it can load JPG files off of an MS, SD or CF card, and also supports various video formats like MPEG, MPEG1, MPEG2, MPEG4, WMA and AVIs. I will give it credit for also supporting PDF and PowerPoint files, making the display a bit more useful for office environments. I’m not sure when the SP3200 will be available (it could be already) but it will supposedly come with an $899 price tag.